•A secondhand 2017 in immaculate condition with fitted case. 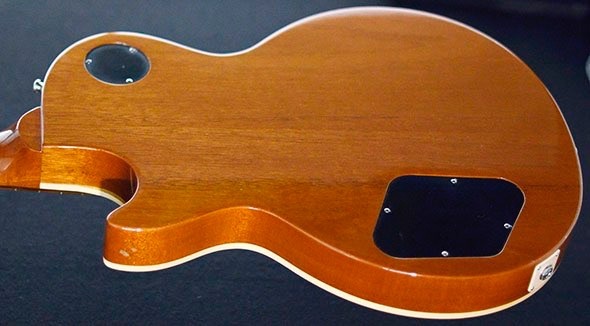 The Les Paul Standard has been the most respected set-neck solidbody electric guitar on the planet for a whopping 60 years, but there’s no reason six-string guitarists should have all the fun. 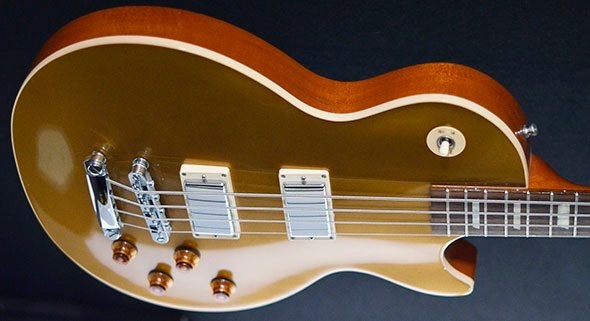 The Les Paul Standard Bass captures the classic construction and elegant look of the original guitar, in a bass with a body proportioned to its length. The look and feel are already legendary, and the Les Paul Standard Bass hits the low end with a tone and power comparable to its six-string predecessor’s prowess in the world of the lead guitar. It’s a full-size bass that adapts perfectly to any genre—from rock, to blues, to jazz, to country—all the while looking great in your choice of Heritage Cherry Sunburst, Goldtop, or Ebony Black, each in hand-sprayed gloss nitrocellulose lacquer. 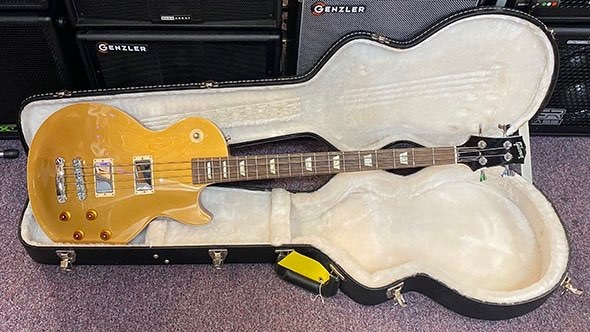 In the image of the legendary Les Paul Standard six-string guitar, the Les Paul Standard Bass is rooted in the classic tonewood combination of a mahogany body with solid carved maple top. Together, these woods offer outstanding tonal depth and richness from the mahogany, with superb clarity and “snap” from the maple. In this model, the strategic placement of several tone chambers enhances resonance while also reducing the guitar’s overall weight. 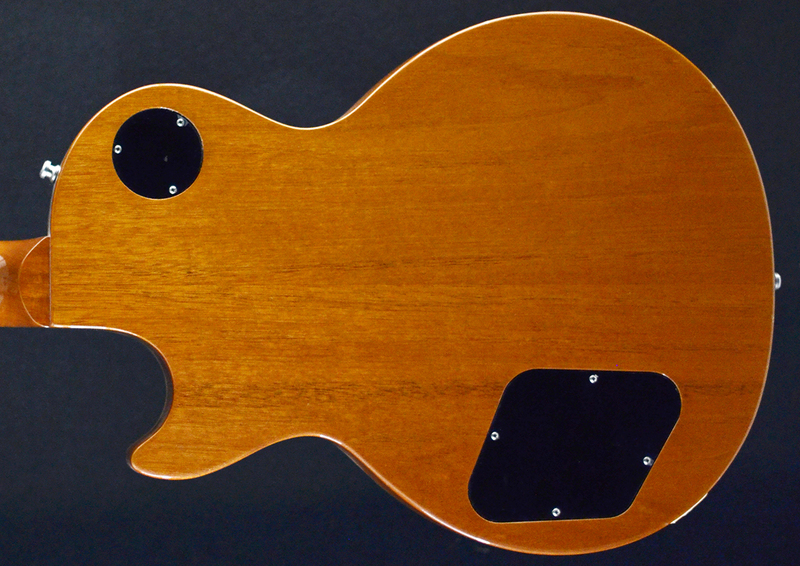 The glued-in solid-mahogany neck is cut to the superior “quarter-sawn” grain orientation for improved strength and the optimum transfer of resonance between neck and body. 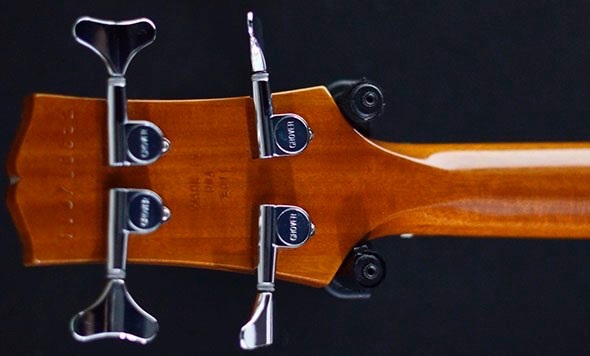 The neck is carved to a comfortably rounded ’50s profile, and topped with a one-piece, Grade-A rosewood fingerboard with traditional trapezoid inlays and 20 medium-jumbo frets. The bass has a PLEK-cut Corian nut, and, to further maximize vibrational energy, Gibson includes its legendary Tune-o-matic bridge and stud-mounted stopbar tailpiece, arguably the most storied hardware combination in the history of the electric guitar, adapted here for the bass. This solid, resonant foundation is pumped to your amp of choice through two of Gibson USA’s powerful Thunderbird Bass pickups. These humbucking pickups are made with ceramic magnets for enhanced punch and clarity, to pull everything from a solid, low rumble to sweet, musical higher tones from this impressive bass, all with outstanding fidelity and clarity. Individual volume and tone controls and a three-way switch offer a wide range of tones. 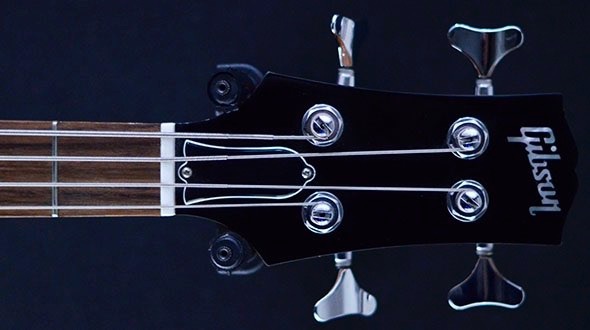 Finally, a set of highly efficient Grover® bass tuners with a 20:1 gear ratio offer optimum tuning smoothness and precision. Add it up, and the Les Paul Standard Bass is a powerful yet classy performer, whatever your genre of music. 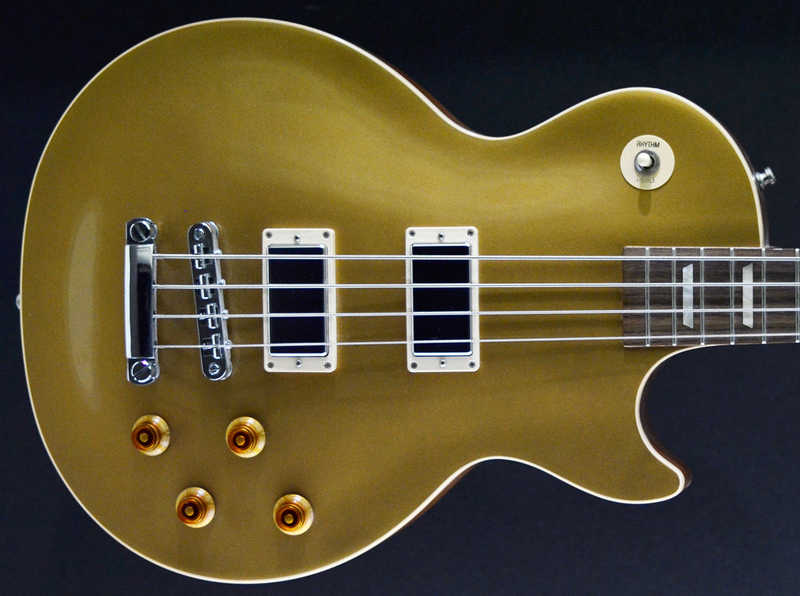 Check one out today at your authorized Gibson dealer, and discover the beauty and versatility of the Les Paul Standard Bass.